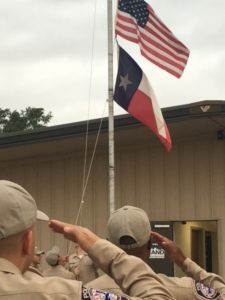 The mission of the Permian Basin Law Enforcement Academy’s (PBLEA) Basic Peace Officer Course is to train our law enforcement recruits to be competent and confident Texas Peace Officers. We take this mission very seriously, as all of our recruits are either employed or sponsored by a law enforcement agency within the region, and will immediately serve as an active peace officer on patrol after the academy. PBLEA works with Police Chiefs and Sheriffs in our region to constantly plan to enroll their employed or sponsored recruits in upcoming academies. Anyone interested in attending the Academy should contact their local Law Enforcement agency. Click here to review the minimum standards for enrollment into our Academy. It is suggested that you also visit the Texas Occupational Code 1701 for Law Enforcement Officers.